When I return from special holidays I love to find fun ways to show off the photos. For our last trip, I made a unique map picture frame of our holiday destination. Along with the Grandparents, Aunts, Uncles, and Cousins, I returned to my hometown of Hong Kong and finally was able to show it off to my kids. They had heard so many stories about the place over the years it was so exciting for them to experience the amazing city for themselves. Sharing it with all the family made it even more special. Having been born in Hong Kong and my parents living there for the first 30years of my life it will always hold a very special place in my heart. So I wanted a special memento of the magical city on my wall. 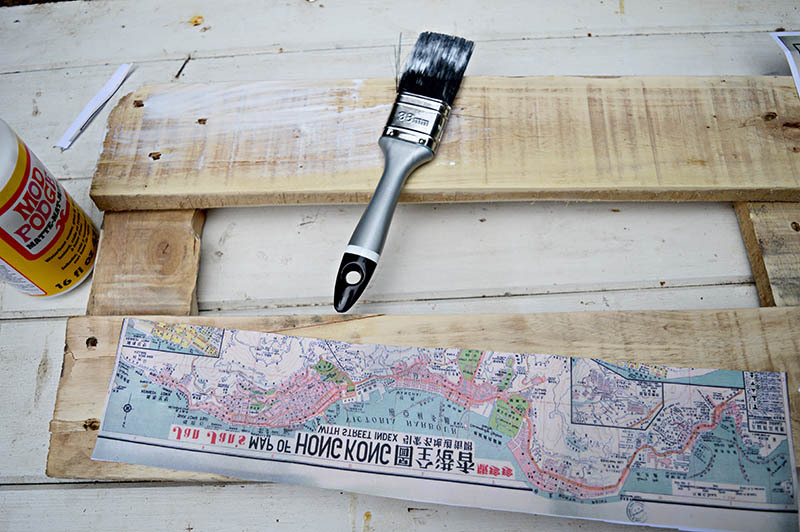 When I found an old map of Hong Kong I decided to print it onto pallet wood and make a special map picture frame from it. I love that I can easily change the pictures on the frame and rotate them regularly. 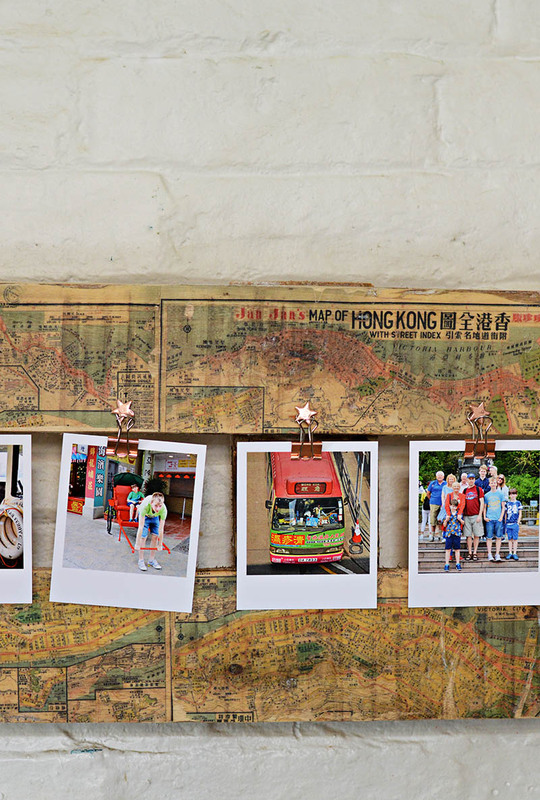 When the kids or I walk pass the map picture frame in the hallway, often we will stop and look at the photos and the map on the frame and reminisce about that fantastic trip. I wanted to keep the character of the old pallet wood that is why I decided to print onto the wood rather than decoupage. It is very easy to print pictures onto wood. 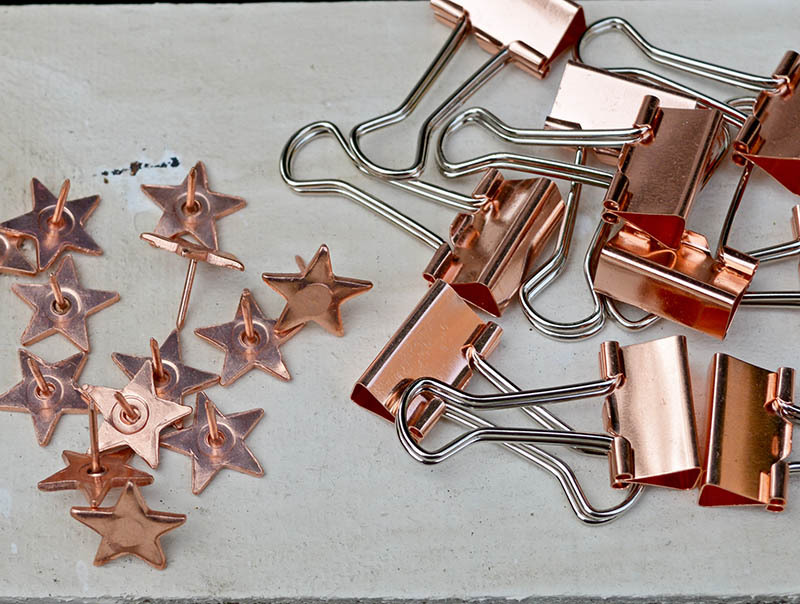 I used bulldog clips to make it really easy to change the photos. 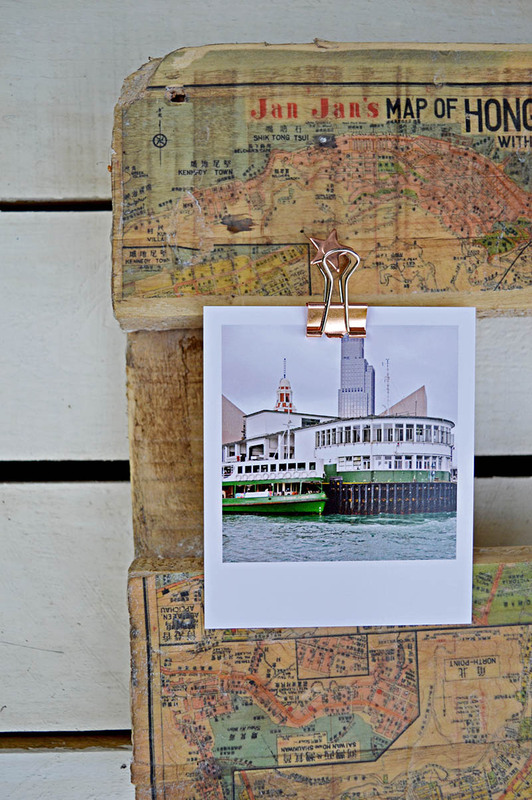 Old Map – Your map will need to be printed onto paper in a mirror image by a laser printer. If you don’t have a laser printer your local print shop should be able to do this for you. They can photocopy an existing map for you or you could download a free map from sites like Remodalaholic. 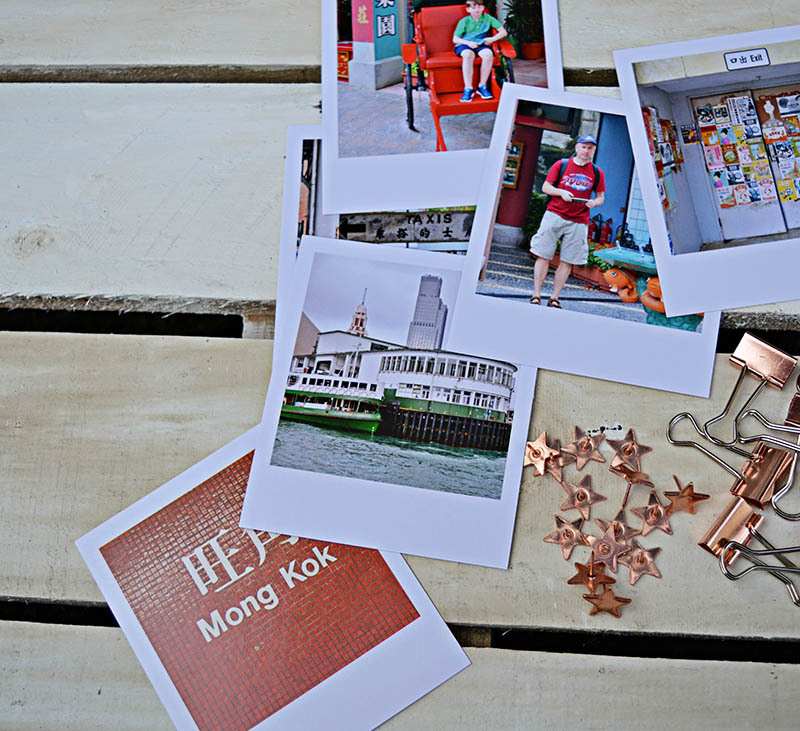 Your holiday snaps – I like to print instagram style photos for a retro look. 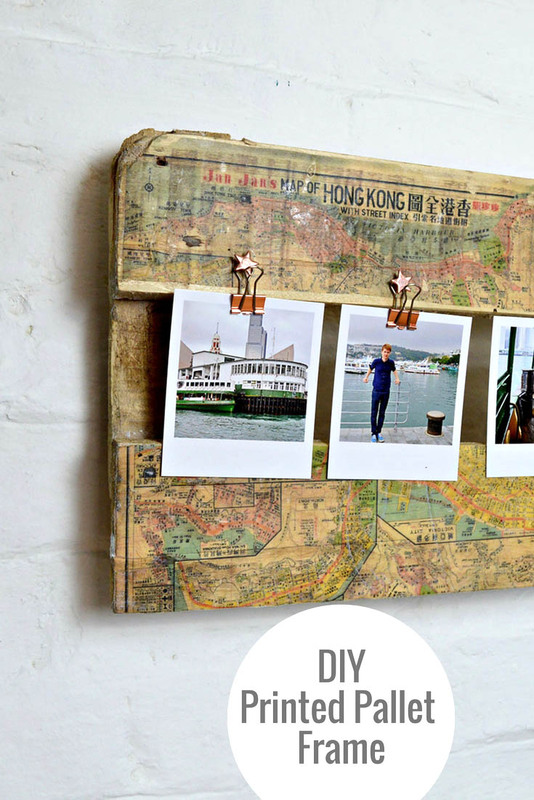 How To Make A Printed pallet Map picture frame. 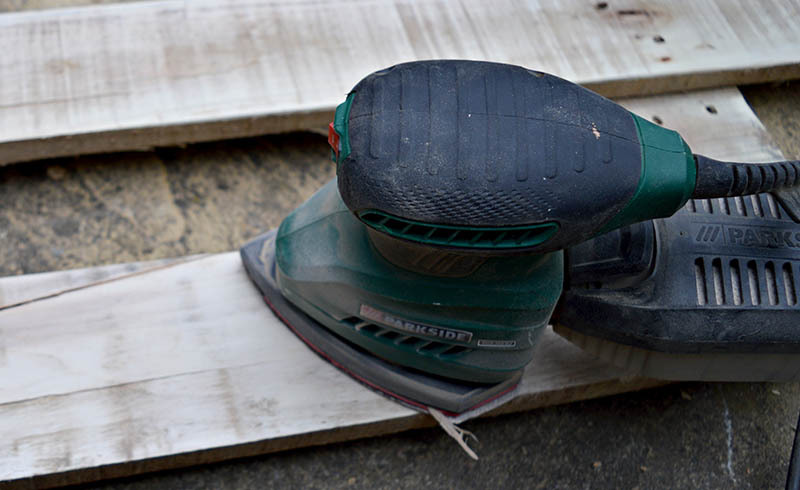 The first thing is to saw off the top two boards off a pallet in one piece for your frame. Next, to prepare the frame for printing sand it smooth. Cut your printed maps to fit the frame. Remember that they should be printed as a mirror image on a laser printer. 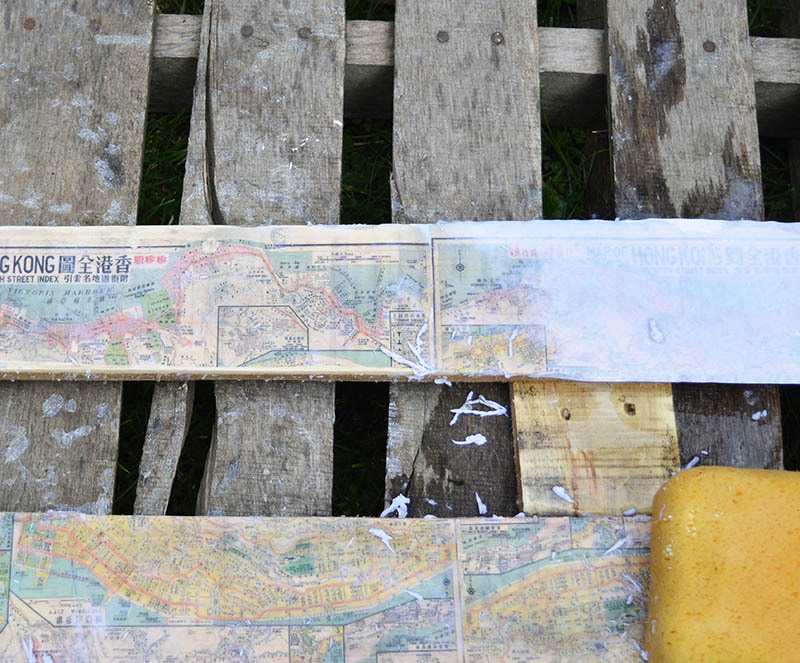 Then cover the frame and front of the maps in mod podge. 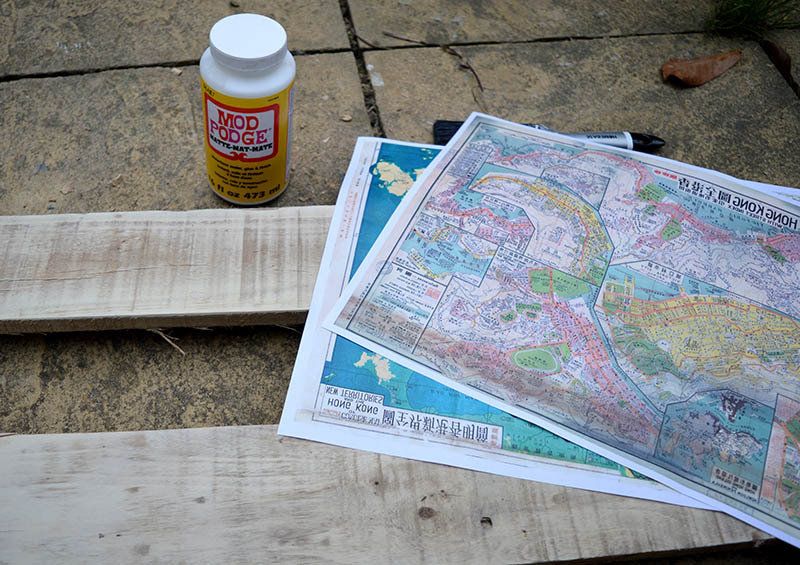 Then stick the printed maps face down onto the pallet wood. Carry on until the whole frame is covered. 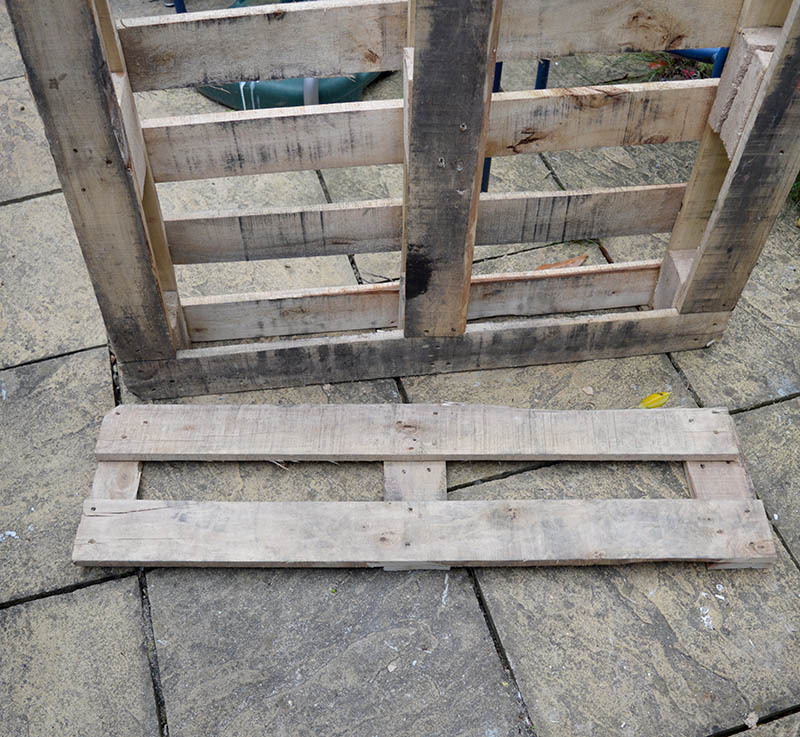 Then leave the pallet until the glue has dried thoroughly, preferably overnight. The next bit is where the magic happens. Using a sponge wet the back of the map paper thoroughly. Then rub away the paper. 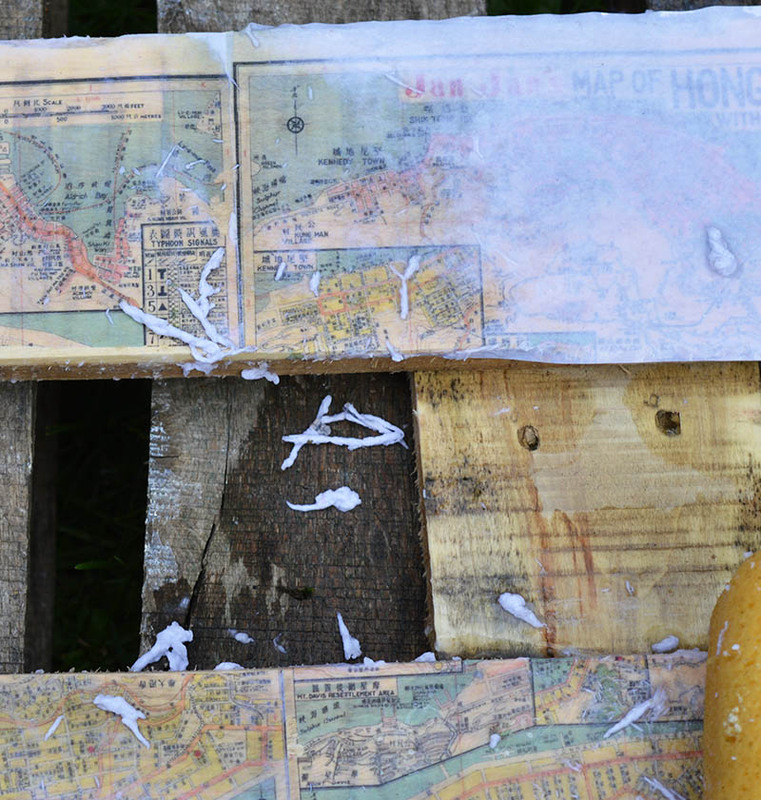 As you continue to rub the paper away you will see that the ink from the map has printed onto the pallet wood and doesn’t rub away. 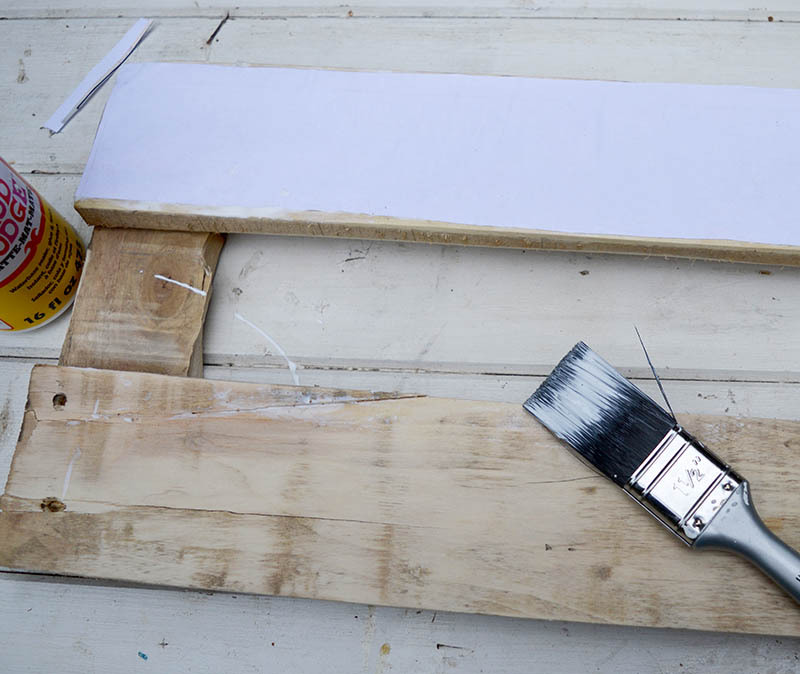 You will have to continually wet the pallet wood and rub away all the paper residue this make take a little bit of elbow grease but it is well worth it. I love to change photos around regularly on my frames, so I made it as easy as possible to do this. 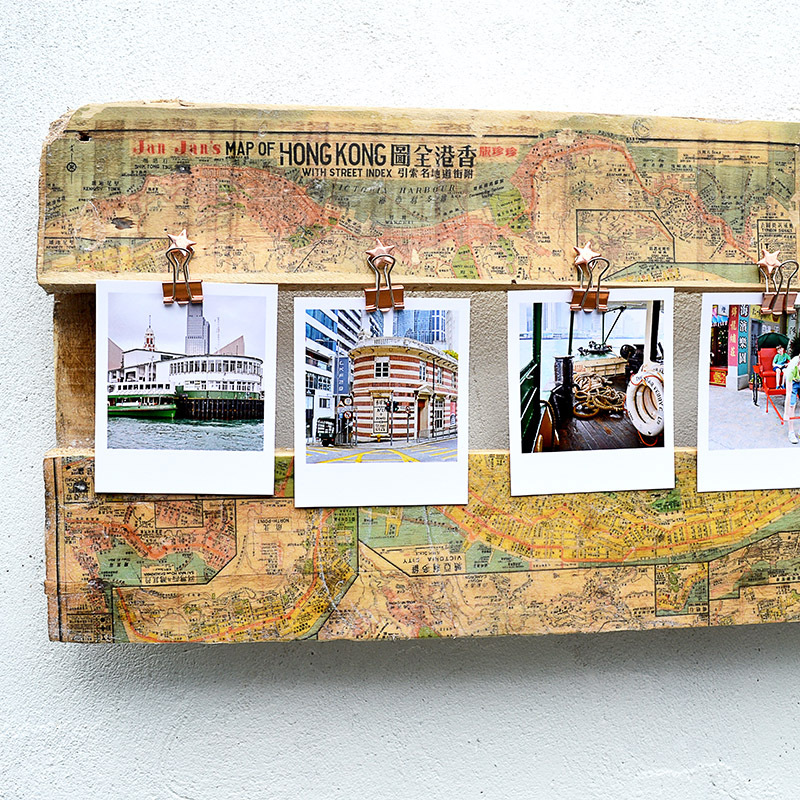 For this map picture frame I simple used some stylish copper push pins and bulldog clips to attach my photos. 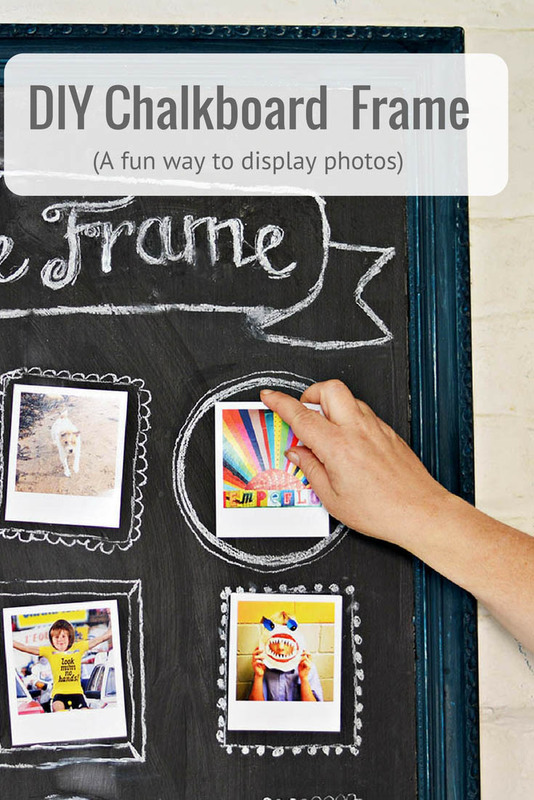 If you liked this then you will probably like the DIY chalkboard frame I also made for showing off my photos. 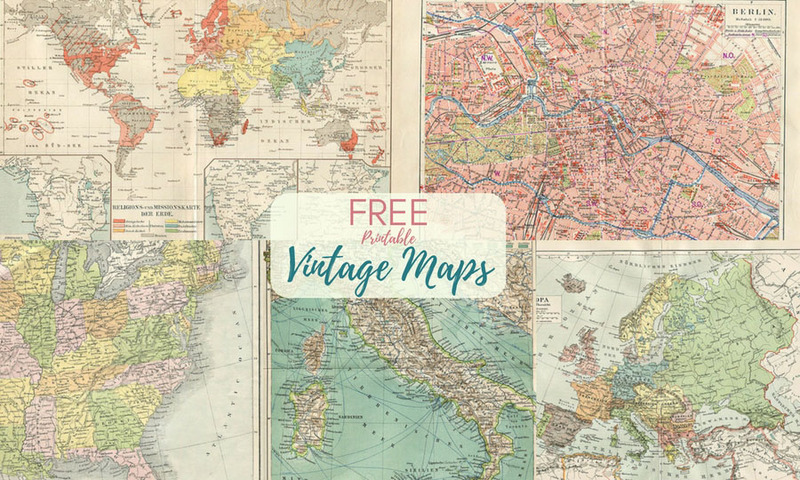 If you want some free vintage maps to print of and use for your own DIY’s I have some here you are welcome to use. Such a great project, so impressed. Thank you it’s a great memory of a fabulous trip. This is so cool! 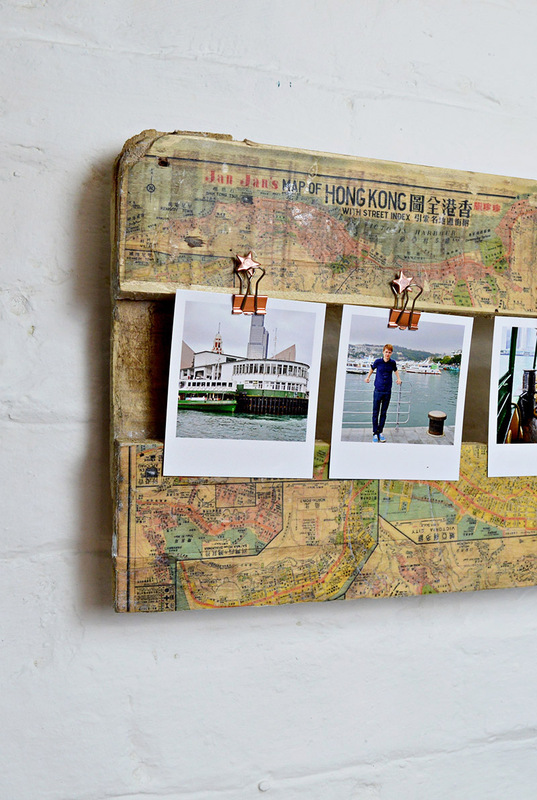 A perfect way to preserve memories! I’m been wanting to try this transfer technique but I don’t have an inkjet printer. Thank you. Your local print shop should be able to print it for you on an inkjet printer, that’s what I do. 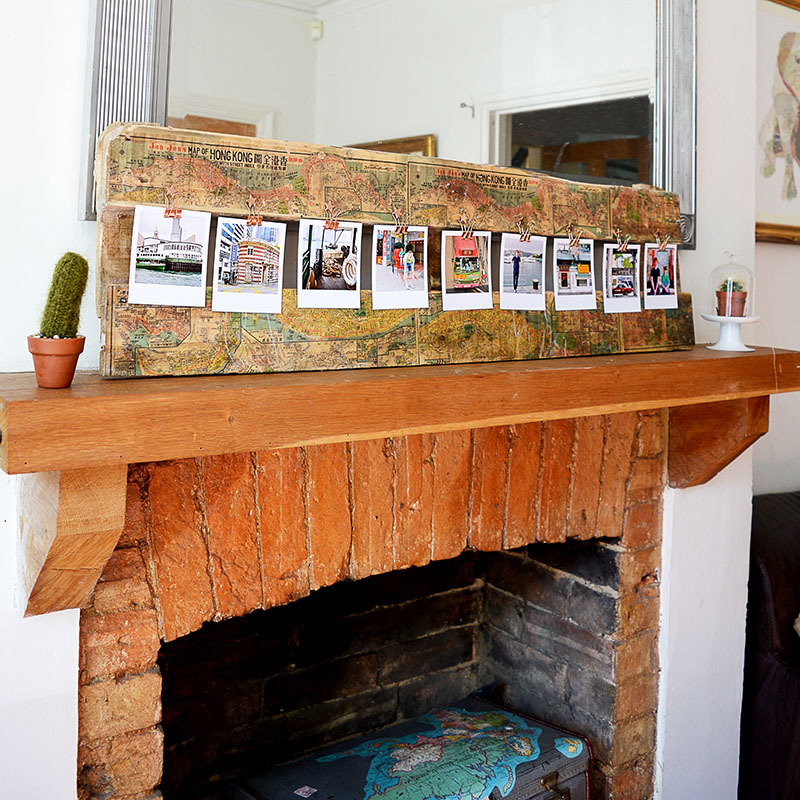 Wonderful inspiration for a cost effective way to decorate the home! Thank you, Rosie. It is quite straight forward so you should manage it ok. I love anything with maps! 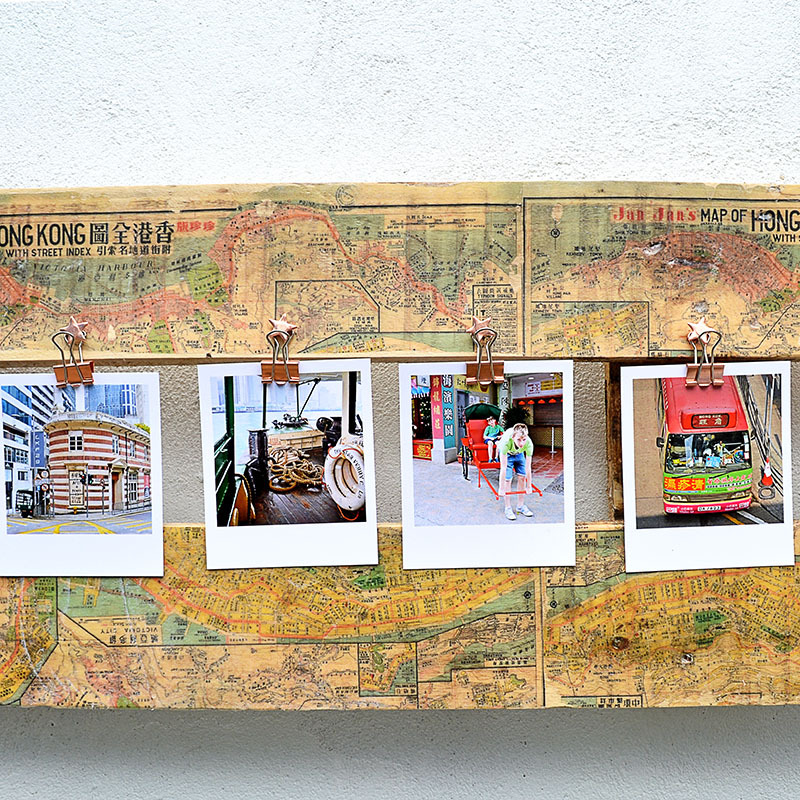 What a great job you did of making it look vintage and what a special way to display photos from your trip! thank you for sharing with us at Create and Celebrate!! Thank you, Susanne. I’m always looking for new ways to use maps in my crafting. Claire, this is so lovely! You don’t say if you finished it with a sealer or anything to protect it or darken it as it looks in the finished product. Did I miss something? Thank you for showing this. Thank you. If you want to seal it you can just add a layer of mod podge to the top of the print. Or just leave it as it is and any knocks or chips will just add to the frames rustic charm. Thank you, Julie! Yes I know I’m already thinking of other things to make with this printing on wood method. This is so cool! Unfortunately we no longer have a working inkjet printer so I can’t try it! Visiting from Funky Junk. Btw, I love your comment font! Is this a wordpress blog? Thank you and yes this is a wordpress blog and the font is “pompiere”. This has such a cool look to it.The “rusticness” is off the charts. Thank you so much, Kimm. I love this project and how it has so much meaning. Pinned. Thank you, Debra. It is a lovely memento. Thank you, I love picking up old pallets to use in crafts. This is lovely! Something like this would look great on my gallery wall! But I would probably use bible pages instead of maps! Thank you, you can print anything you want on to the pallet wood. I love anything with maps on it. This is so super Claire. Love it! ME too! thank you Carolann. This is incredibly gorgeous, Claire! The feeling it gives off is of such warmth & love. Pinning & sharing! Thank you Angie and cheers for the share. Every Sunday when I link up at Sum of their stories, I always hunt for you linked project. And as usual, I’m in love with it! Thank you so much that’s very lovely of you to say so! 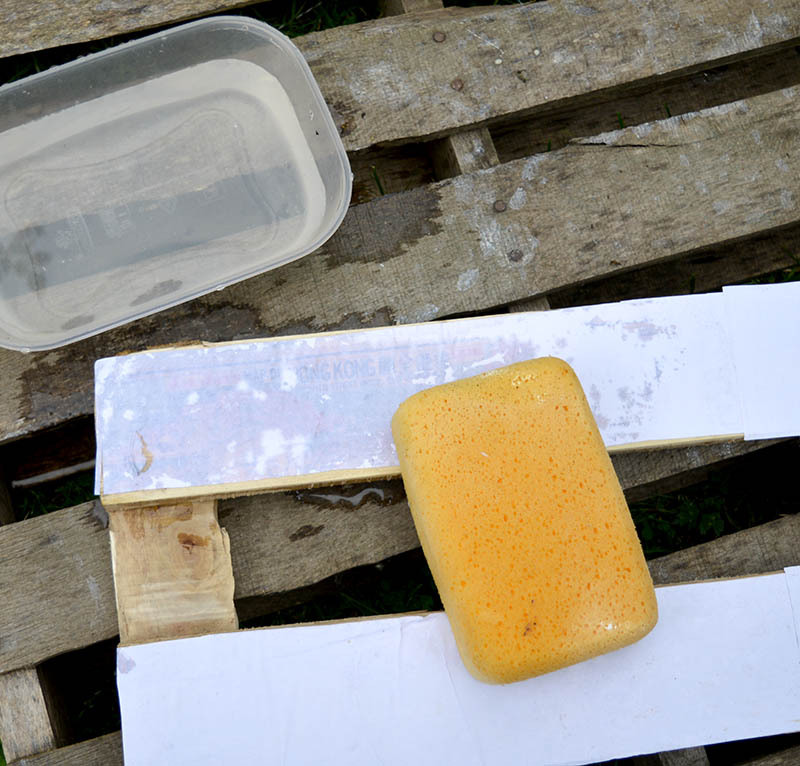 Love it Claire, thanks for sharing on craft schooling Sunday! This is just genius and gorgeous!! I love all your map projects! Thank you Anita, I just love crafting with maps. I love how you made the printed maps look so old and they look even older on the wood. 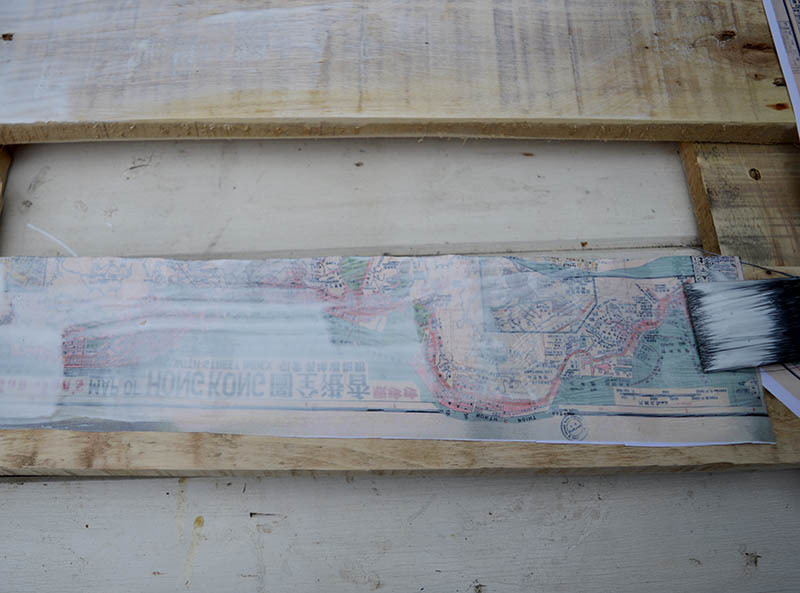 Thank you Toni, the map was an old street map of Hong Kong to start with. Thank you so much Claire and thanks for the share.